Don’t settle with your furniture looking slouchy and old! New life can be brought to your piece by simply replacing the foam and padding. 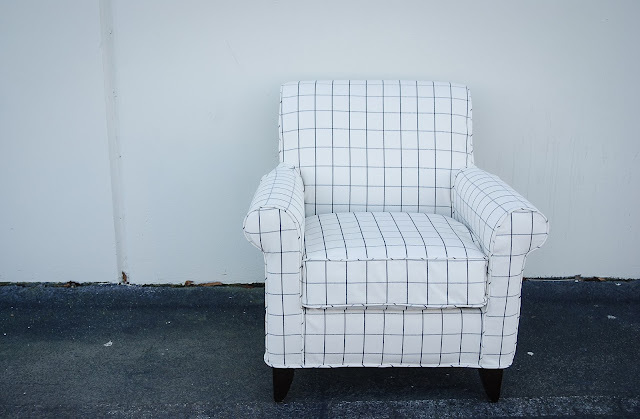 A common problem of misshaped and uncomfortable cushions can be addressed by simply replacing the original lower quality cushions with heavier weight foam and proper padding giving you 15 -20 years of comfort. Yes! 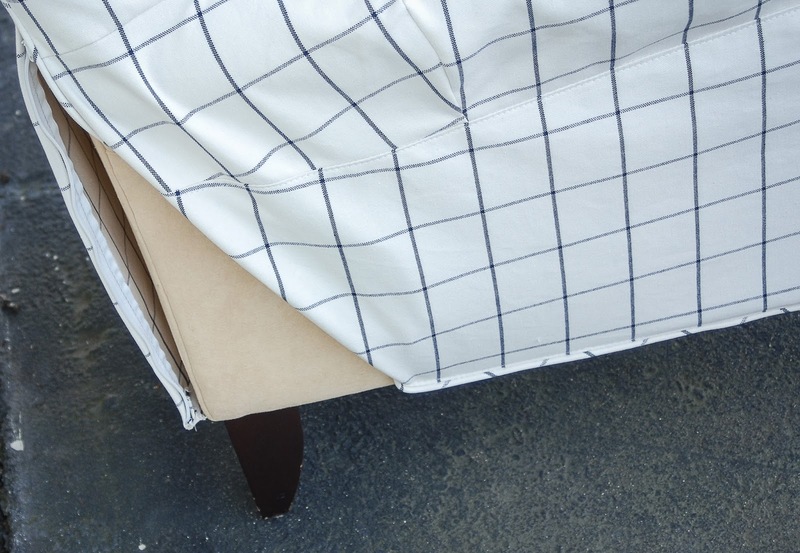 This can typically be done without reupholstering your item! The first number relates to the density or weight per cubic foot. 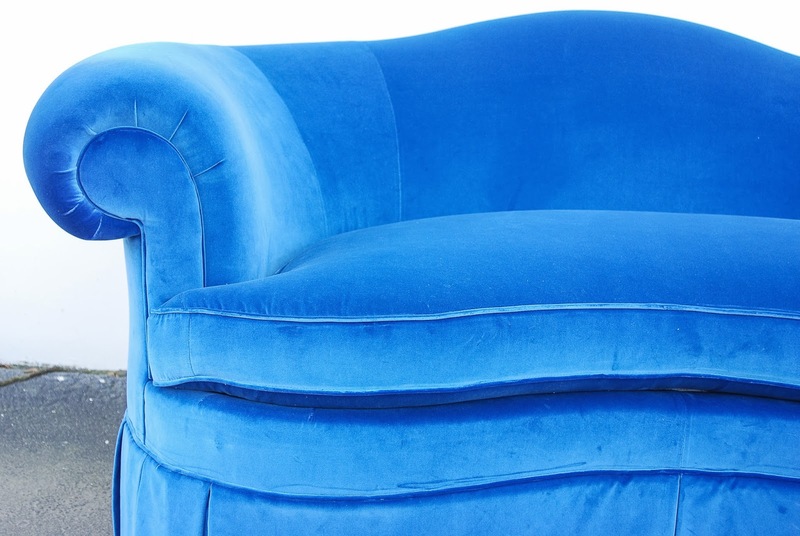 A lower quality foam or furniture industry foam typically weighs 1.5 lbs -2.0 lbs per cubic foot. This lower quality foam will look and feel great for an estimate 3-5 years and will then lose its comfort and become misshaped. Foam cushions are typically feature additional padding with synthetic batting called poly dacron or encased in a down wrapped envelope. 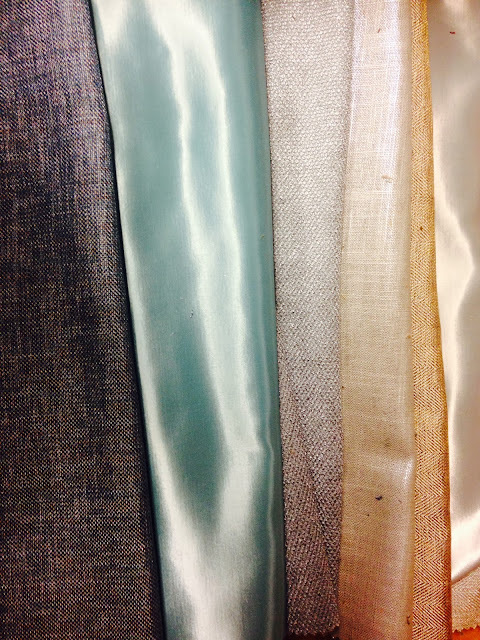 Upholsterers will typically wrap cushions in order to achieve a crown or round effect. A great sitting piece of furniture is different for each person. Understanding where and who is sitting in the furniture is extremely important. Many new sofas are made with ultra thick cushions measure in excess of 6” thick. This can become problematic for individuals with back problems or the elderly. In these instances making the cushions thinner may drastically alter the appearance of the furniture or make the seat sit too low. Instead of reducing the thickness of the cushion I have combined different types of foam to achieve the perfect sit. An example would be replacing the foam in an 8” thick cushion using a firm 70lb foam topped with a 31lb medium firmness foam. A down feather look look can be achieved without the duck! Many clients have requested a soft plush feel but didn't want the hassle of constantly re-fluffing or feather constantly poking out of the cushions. This can be achieved by using synthetic pilled poly dacron that will give a similar feel to down. Did you know Finish Pros can make custom slip covers? What a great way to instantly transform a room in your house. We can design a slip cover that works with any decor style, whether you prefer a clean modern look, traditional or shabby chic. And a slip cover can even give a whole new meaning to a room's decor! A finish on a piece of wooden furniture is intended to protect the wood surface from damage and to enhance the beauty of the piece. If an item is lacking a good finish, the environment can adversely affect the wood. So, the short answer to this question is NO, refinishing a piece of furniture does NOT decrease the piece’s value… but there are a few circumstances that need to be considered. 1) Is your furniture item the first of its kind? 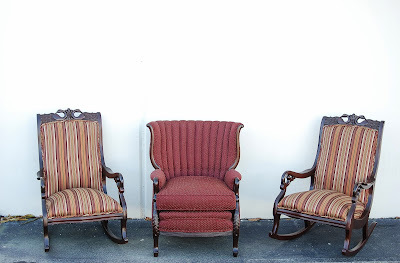 Is it considered "period furniture"? An example would be a federal secretary cabinet that was made in the late 1700's or a later reproduction made in the 1870's. Note: Just because an item is an antique (over 100 years old) doesn't make it a period piece. Instead of refinishing a period piece, Finish Pros recommends preserving it to prevent further damage. Another option is to restore the period piece while carefully documenting the steps taken so that the methods can be reversed if need be. For example, if a veneer piece is jagged along the edges, we can use a fill that can be removed at a later date therefore not permanently affecting your family heirloom or the historical significance. 2) Was the piece once owned by a historically significant person or from a historical location? In this instance, refinishing an item that was once owned by Thomas Jefferson, Amelia Earhart or in a Norman Rockwell painting should be addressed on a case by case basis. 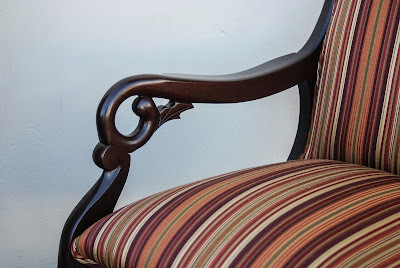 Our team would love to know the stories behind you family heirloom and help with the furniture restoration techniques are best suited to retain the historical significance. 3) Did a notable cabinetmaker, designer or craftsman make the piece? 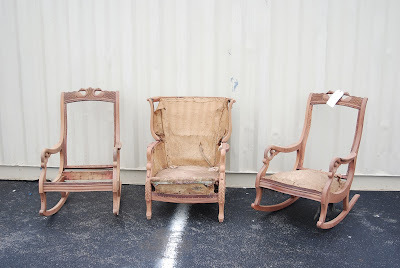 In cases such as these, we recommend restoring the piece of furniture instead of refinishing it. That means that the old finish is not removed but can be cleaned, waxed or even top coated. Keeping the original finish is critical to maintaining the value of the piece. Gustuv Stickley was a noted furniture designer and manufacturer of fine arts and crafts style furniture in the early 20th century. Original Stickley furniture retaining an original finish demands premium prices from collectors. 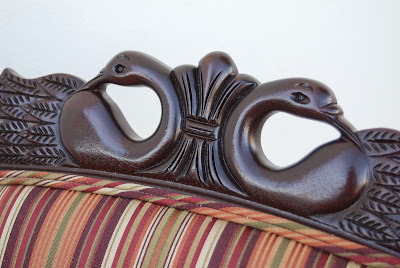 However if a Stickley item must be refinished, then appropriate stain tones, finishing products and techniques should be used. At Finish Pros, our experts have decades of experience in antique furniture restoration that allow us to identify your piece of furniture’s history. We got the new fabrics in from Greenhouse today…..there are so many pastels and metallics! I couldn’t believe how durable some of them were, which relates directly to the pet-friendly post from last week. . The pastels would look awesome in the winter and for the holidays! During the 1700s, artisans created the Gooseneck rocking chair as a comfortable but elegant version of the rocking chair. They often have leather upholstery and brass accents. These chairs became popular in the 19th century. They have become one of our most popular items to refinish at Finish Pros and we thoroughly enjoy the process of bringing them back to life.